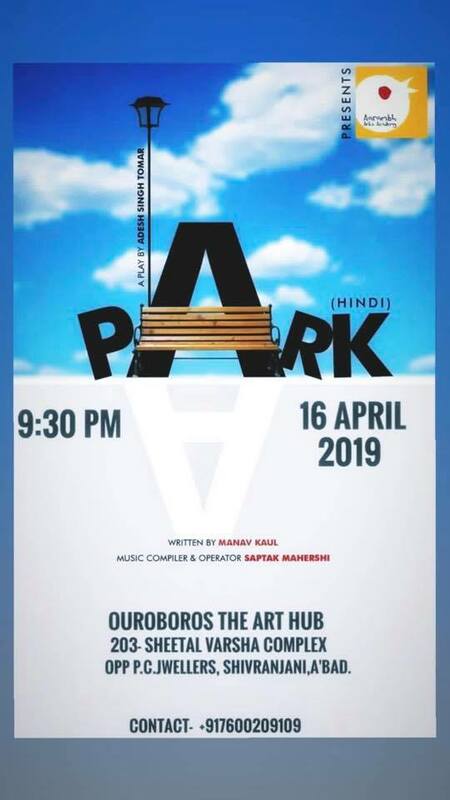 An Aarambh Arts Production, Park narrates the story of three men fighting over bench seats, of their liking, one afternoon. As the unplanned conversations, light-hearted disagreements and unintentional revelations unfold, their individual lives no longer remain the way they were. Introspective yet ordinarily prevailing characters form the highlight of the story.